1. 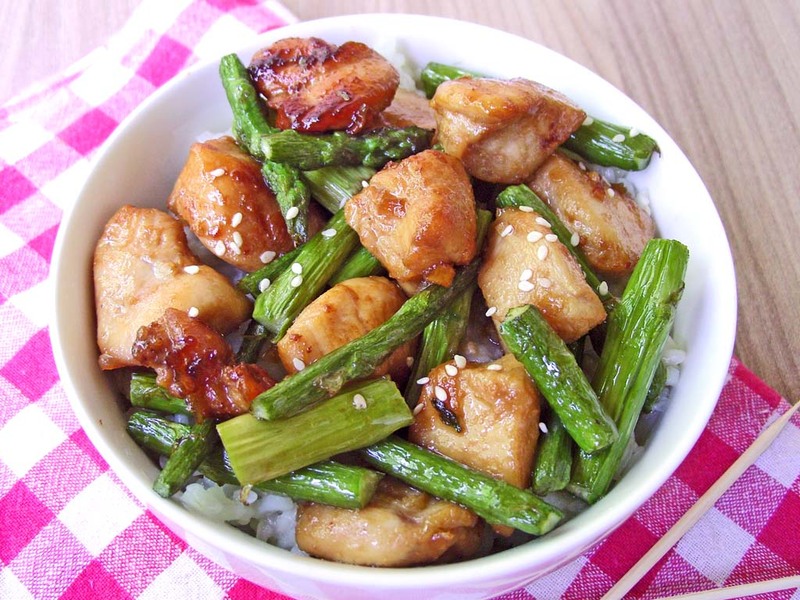 Marinate sliced chicken with soy sauce, corn starch, salt, and 1 clove of minced garlic in refrigerator for 15-20 minutes. 2. Meanwhile, heat oil in a wok or large skillet over medium-high heat. Add asparagus, and saute until just tender, about 5 minutes. Remove the asparagus and set aside. 3. 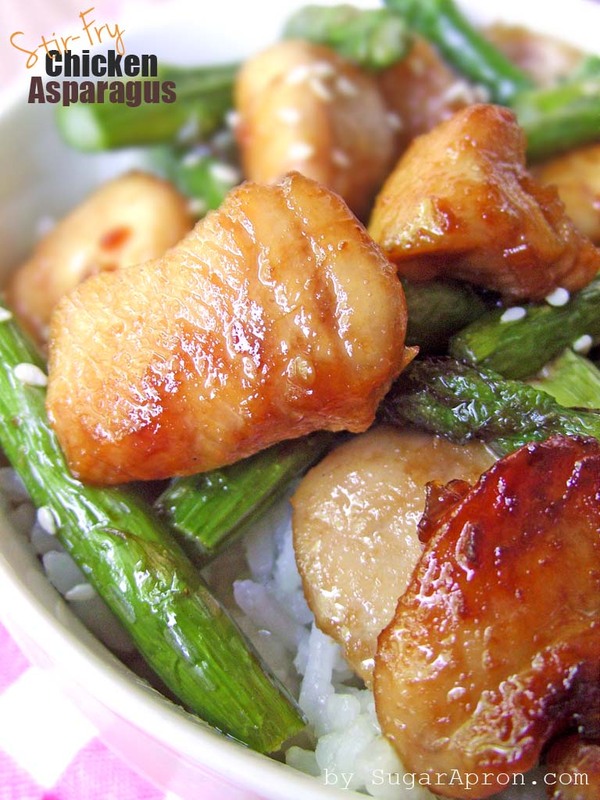 Remove chicken from marinade, and add to skillet. Saute until nearly cooked through (with the insides still slightly pink), about 5 minutes. 4. Then add rest of garlic, scallions, and the reserved marinade to the pan. Saute for an additional 2 minutes until the chicken is cooked and the garlic is fragrant. 5. 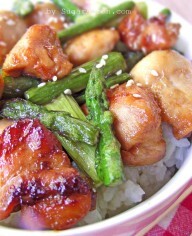 Serve dish over steamed rice. garnished with toasted sesame seeds if desired. Your recipes sound good. I will be trying them this week.